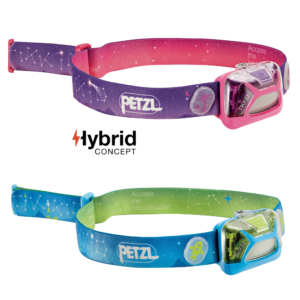 Easy to use and compact, TIKKID® is the first Petzl headlamp designed for children. It has a flood beam that offers comfortable vision for reading or playing, inside the house or out. The headband, releasable under tension, and the protected battery pack make it especially suitable for young children. Available in Blue or Pink, model E091BA##. Posted in New Products, Sport News.